Footage broadcast on state television showed the DF-26 missiles being launched into the air, while their experts claimed that the missiles were capable of hitting moving aircraft carriers according to ABC. They told the paper that the missile's "double-cone structure", as well as the "information network connected to the warhead" — which could include a variety of radar and satellite systems — would allow the moving target's location to be constantly updated. 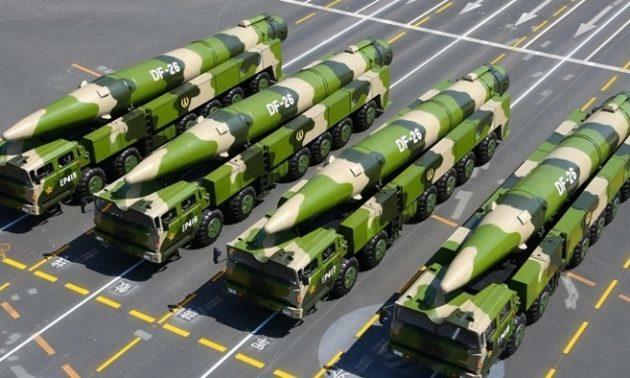 China's Ministry of National Defence has previously said the DF-26 missiles were capable of carrying conventional nuclear warheads. The DF-26 missiles were first rolled out during a 2015 PLA parade. The DF-26 is deployed on a transporter-erector-launcher and the US Air Force National Air and Space Intelligence Center estimates that as of June 2017, more than 16 launchers were operationally deployed along a number of coastal provinces from Zhejiang and Fujian all the way to Guangdong. 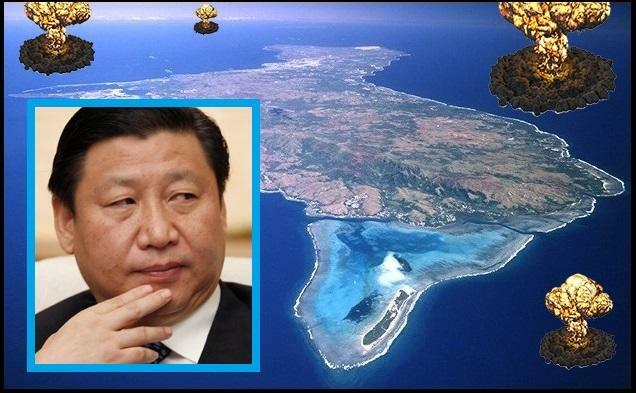 There have also been rumors that the DF-26 may also have been installed on the Beijing-controlled Scarborough Shoal, also known as Huangyan Island, in the eastern portion of the South China Sea. Between North Korean leader Kim Jong Un threatening to hit Guam with "an enveloping fire" and China's new "Guam killers," residents of the tiny island nation have got to be at least a little nervous.